Many debt relief blogs and advice columns will tell you to say, “No,” to... everything, to deny yourself of same fun that you used to have before you got into debt. There's an important difference between saying “no” to everything and being frugal about it. First, you're not likely to stick to a plan that prohibits the activities you love. At some point you'll break and binge and practice some of the same habits that contributed to your being in debt in the first place. 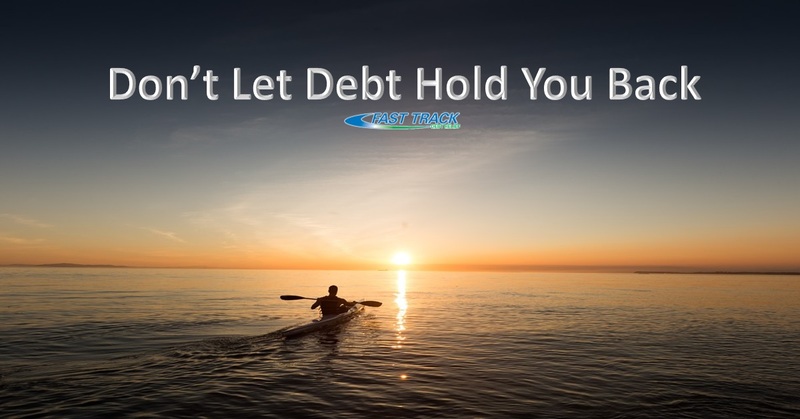 The best way to get out of debt now is to look at debt relief programs and engage in a plan that gets you closer and closer to your goal. In the meantime, though, you can't shut off your life. The key is to create new habits that fit the lifestyle that you love. Consider holding potlucks instead of going out to eat, renting a movie instead of going to the theater. These can save you $10 or $20 a pop. Across a family, they can save you $50 in the span of a night. Do that a couple of times, and it starts to make a real difference. At the same time, you get to spend quality time with your family and friends or relax into a great film. Also think about your needs. If you put off that car repair or home repair because you're so averse to debt, it'll end up costing more down the road. Problems like that compound and grow the more you ignore them. Getting out of debt is like losing weight or getting fit; you have to make sustainable changes. You cannot deprive yourself of fun or the occasional treat - but you can indulge in a way that saves money. And be sure to continue these great habits once you complete your debt relief programs so you don’t wind up back at square one.